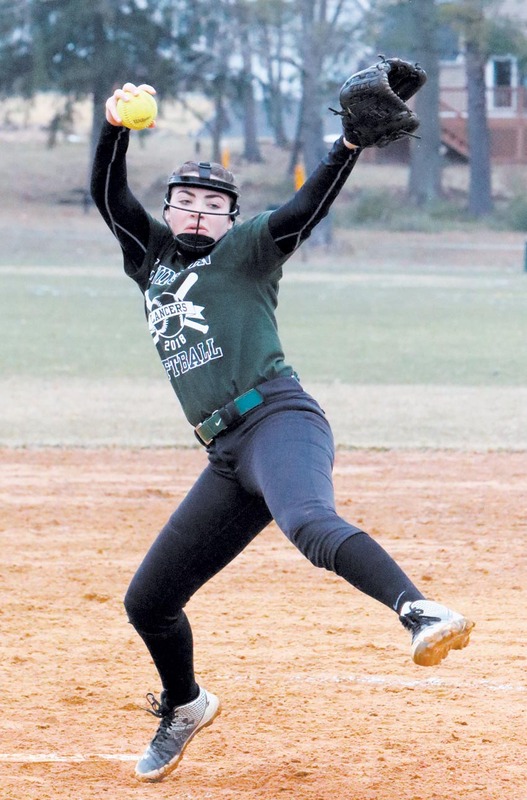 SOFTBALL SCRIMMAGE: The Lancer varsity softball team hosted the Westfield Blue Devils in the final pre-season scrimmage on Wednesday, March 28. Shown above, Lancer catcher Emma Cooney handles the fastball as homeplate umpire Sal Dieicco readies to make the strike call. Westfield batter Alay Gulla follows the ball into Cooney’s mitt.